Today I did a morning ride that was a reflection of my artistic side. The university where I work has imposed a four day work week for two months this summer, so I have Fridays off for a while. I decided to get up at my normal time and ride my bike, then work on the master bathroom after my ride. 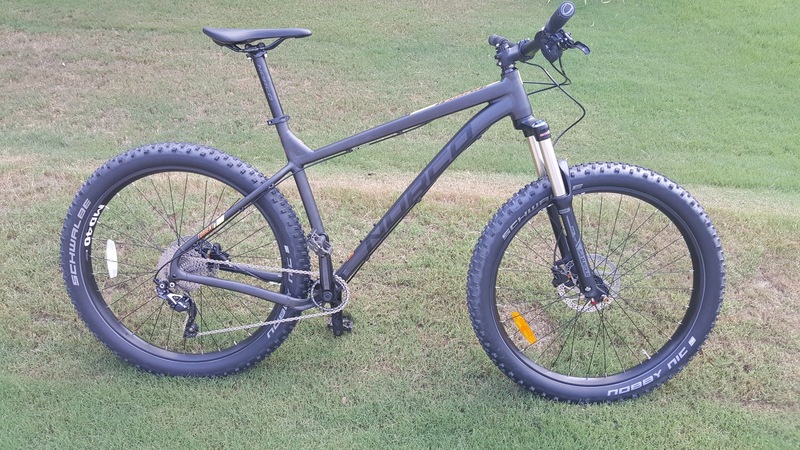 I rode my Torrent 7.2 mountain bike and I am going to reflect on how it differs from my Trek Pure cruiser bike. One of the things that I know about myself is that I am an artist. The artist in me always likes to have different tools for creating. Take for example my color pencil drawings, I like having more than one color in my drawings. When I paint, I like having more than one brush to paint with. Sometimes I will use an airbrush when I paint. The Urban Assault Cyclist needs more than one bicycle to ride the surrounding terrain. For the past three months I have been riding my Trek Pure to and from work and around the neighborhood on weekends. My Seven Cycles 622 SLX road bike is gradually seeing more miles this year as I recover from my hip replacement back in October 2016. The comparison of these three bikes may come as no surprise to you, but for me it is amazing as I know the theory of tire size, but when I experienced the difference in real time it is amazing. The main difference in all of my bikes is tire size. Ideally I would love to have a cruiser commuter bike with the same tire size as my road bike. My cruiser bike has 26 inch wheels, my mountain bike has 27.5 inch wheels and my road bike has 700c wheels. What I realized on this morning’s ride is that my mountain bike rolls so much faster than my cruiser bike even with the 3.5 inch wide knobby tires on it. The route that I rode is one that I have taken a few times on my cruiser and it covers some off road sections that are not paved. I really like riding my bike through the inner city and having a bicycle that can do it all is the bomb as far as I am concerned. Sometimes it is not about how fast you go or pursuing the most direct route, but for me it is about the fun of the journey. Here is a map of my morning ride today. This has been a morning commute and an evening commute a few times this month. Today I decided to ride it round trip on my mountain bike. I rode to the university campus and back home. I wanted to hit all of the Pokemon Go stops near my home all in one ride. Comparing this route between the two bikes was exciting. The Trek Pure has a more relaxed riding position and the cranks are positioned further forward then a standard bike. This upright position makes it easier to sit upright on the padded spring seat and slows me down so that I can get to work in street clothes without seating in the summer humidity of south west Georgia. Today as I rode my mountain bike I appreciated the more aggressive position on the bike and I could crank more efficiently getting more speed even with the bigger tires. Here is where I realized the rolling efficiency of the larger diameter tires on the mountain bike. Urban Assault Cycling is the most fun in Albany, Georgia where I live. I have done this type of riding in Portland Oregon but it is more diverse here in Albany. Some neighborhoods still have unpaved alleys. These alleys are great for a mountain bike ride within the inner city. Albany was built on a swamp so getting proper drainage was a key to the designers of the city. There are lots of drainage ponds and lakes around Albany that are fed by bar ditches. Some of my favorite routes in the inner city are when I ride along the right of way next to these drainage ditches. The city mows the grass along these ditches so there is no fear of high grass and the ground is hard packed. On occasion I have crossed a ditch or two on my bike and that is a thrill. So I like having three bikes that are fun to ride. While I am slowly getting back into shape I am rediscovering for the first time again why i like riding a bicycle. Sometimes I have to slow myself down on the bike and in my brain and stop to smell the Ligustrums.